Someone once said that Iceland is one big volcano. Obviously, this is not true. In fact, it is not even one big volcanic system. Parts of Iceland are mainly powered by the Icelandic mantleplume, with just a bit of power coming from the spreading of the Mid Atlantic Ridge (MAR). Then there is a group that is more evenly powered by the mantleplume and the MAR, and the third group is powered by the spreading MAR only. But, in the hinterlands of Iceland lurks volcanoes that defy all of this, volcanoes that seemingly does not draw power from any of these two driving forces. In the east, we find the Öræfajökull Volcanic Belt (Ö–VB) and in the west we find the Snæfellsjökull Volcanic Belt (SVB). Whereas we do know that the origins of the Ö–VB lies in a long-gone history as a main part of the MAR that over time has gotten shoved to the side, the SVB is shrouded in mystery. One would think that this would be enough for a single volcanic country, but alas no. Out beyond the volcanic hinterlands there are more unknown volcanoes to be found. And as we will learn, almost all we know about them is turning out to be wrong due to new data emerging from an ever more accurate sensor-network. Let us go for a walkabout into the unexpected. Google Earth image of Skotmannsfell. About a month ago a highly unusual and slow earthquake swarm started in one of the few spots in Iceland without known volcanism and sprungur (earthquake fissures). At least that we knew about. So, I started digging and got the help from Andrej Flis in my volcanic spelunking. As he compiled all of the earthquakes that have happened in the area he found not one, but 3 unknown sprungur that are unusually distinct, and prolonged in time. And, to my surprise I found a nicely preserved little shield volcano with a crater lake called Skotmannsfell. By the looks of it Skotmannsfell has not erupted since the end of the last glacial period in Iceland. We know this since the volcano is so low that the ice age glacier would have ground down the very distinct crater, filled in the crater lake and turned the entire volcano into an indistinct mound. By using gravimetric and seismic velocity anomaly maps we should be able to discern if it is a central volcano or not. The size, depth and consistency of seismic activity tells us that there should be an active magma feeding system leading up from the bottom. But, here comes the surprise, there is no magma reservoir lurking under Skotmannsfell. Instead there is a residual trail leading towards another volcano, making Skotmannsfell into a monogenetic flank volcano that once was fed by a dyke from its parent volcano. Even though a few of the earthquakes seems to have had fluid components it is most likely water or low temperature hydrothermal fluids and not magma that is at play. Skotmannsfell is so far a bad bet for the next eruption. The name is derived from a nautical term, Skotmann is the title of a sailor that handled the ropes to the sails in old Norse. Now, let us go and visit the parent of Skotmannsfell. In the background, the large shield volcano of Ok seen from the SW with Fanntófell in the foreground. Image: Wikimedia CC. If Skotmannsfell had a nautical origin, Ok is more of a farmers name since it means yoke. And there is a joke hidden in this volcano. The classic explanation of Ok is that it is a polygenetic shield that erupted during the last glacial period forming a distinct intermediary between a shield volcano and a Tuya. The idea is that the volcano Prestahnúkur under Langjökull was the central volcano that injected magma via a dyke leading to Prestahnúkur, and thusly causing the eruptions at Ok. 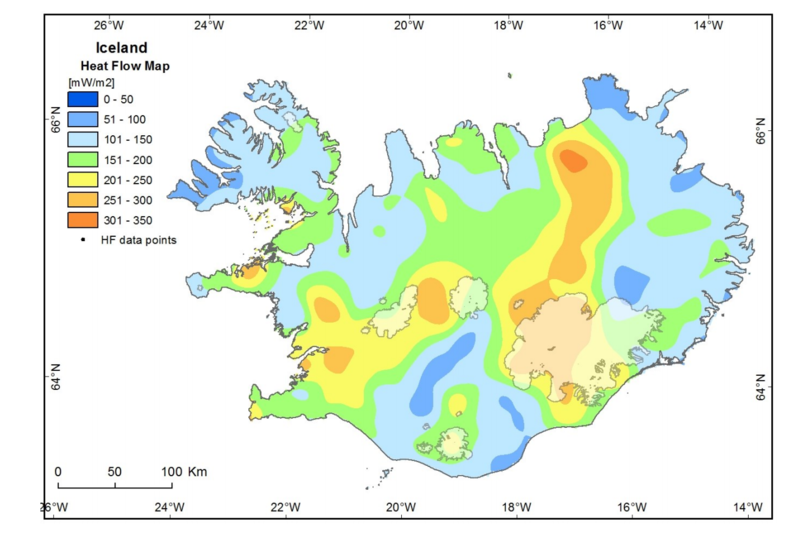 But, as is quite evident in the gravimetric and seismic velocity maps there is a strong anomaly indicating a sizeable magma reservoir under Ok, and that it is discontinuous from Prestahnúkur. This is further supported in the earthquake plots made by Andrej. Will Ok erupt again in the future? Currently there is nothing pointing towards an eruption being upcoming, but the level of seismic activity leads to the conclusion that it should still be counted as dormant volcano able to become active again. Now, the anomaly maps that Andrej gave me for this article left yet another trail of breadcrumbs for me to track down. And that trail led me all the way into the capital of Iceland. Esjan as seen from Perlan, Reykjavik. Image: Wikimedia CC. It often surprises tourists that there is an open steam pipe coming out of the ground in the town square in Reykjavik. In most other cities, this would indicate that a heating pipe has burst in the ground, but in Iceland that steam is smelling of nicely rotten eggs. This of course indicates that there is a not too long distant volcanic past in Reykjavik. Just a few decades ago there was still springs hot enough to clean white linens in, but they are now gone. Previously it was believed that a field of monogenetic cones east of Reykjavik had caused an intrusion running in under the city, and that the cooling magma from that intrusion was heating the springs. But, there is an equally plausible explanation for those springs, and that is a far more majestic volcanic feature called Esjan. It is a volcanic fissure line that started erupting 3.2 million years ago at the beginning of the ice age, and that it stopped erupting 1.8 million years ago. During the interglacial periods the eruptions left flood basalt layers and during glacial periods thick layers of tephra was deposited. The classic view is that Esjan was fed by massive dykes leading from central volcanoes in Kjalarnes and Stardal. The only problem with this idea is that it is ludicrous when evidence is set towards belief. First of all, if the classic view was correct, we would get the same picture as between Skotmannsfell and Ok. The area directly under Esjan should be free from a magma reservoir, unless it was a central volcano in its own right. Only problem with that idea, is that by now the magma reservoir would be so cold that any gravimetric and seismic anomaly would be gone. Now for the big surprise. Esjan has one of the largest anomalies in Iceland. This is a bit of a stumper. The only way there could be an anomaly is if intrusions from depth had come up repeatedly for 1.8 million years without causing an eruption. What has most likely happened is that after the last large eruption at Esjan a very large magma reservoir remained under the volcano. And that at a slow but highly persistent frequency just enough fresh hot magma intruded to keep the large anomaly alive. By now all of that magma should have turned into Iceland’s largest reserve of rhyolite, but thankfully it is most likely non-eruptible. It always amazes me how many volcanic features there are in Iceland to study. And in the end the lesson is that Iceland can truly sprout a volcano almost anywhere at any time. It is just more likely that it will happen over the spreading Mid Atlantic Rift, or in the vicinity of the mantleplume. Of the 3 volcanoes I have written about here only Ok is likely to erupt sometime in the deep future, even though I am highly intrigued by what is happening next door at Skotmannsfell. Esjan is of course only of academic interest, but I must admit to having been amazed and awed of finding such a large reservoir of magma near the capital. Now, there is just one last thing to clear up. I have mentioned that Skotmannsfell is of nautic origin and that Ok is a highly agricultural volcano. So, what about Esjan? Let us once more turn to old norse. The word still lingers on in modern Swedish with the spelling Ässja (it is pronounced the same). If it is accurately translated into English it means The Forge and nothing else. And what could be a better name for an old majestic volcano? Anyway, that makes it 42 active volcanic systems in Iceland now. Therefore, the meaning of life is Iceland. Makes sense since its so complicated!! 42 is a great number and definitely the meaning of life in this sense. Iceland is very much alive! Nothing wrong with calling it that, even in compsci that term is used. I’m the “someone”… but it was sort of in jest. As noted, it is ludicrous, but on the periphery of reality, it makes you go “Hmm…”. I noticed there’s a gravity anomaly under Eriksjokull too. Is there magma there as well? This video courtesy of Juan Ramon Garcia Cartel shows the increase in seismic events under Tenerife. The Most Significant Seismic Swarms Are found where the last event is marked with an orange icon with the letter u. ” And, to my surprise I found a nicely preserved little shield volcano with a crater lake called Skotmannsfell. Isn’t that contradictory? You say that it can’t have erupted since before the last glaciation because the glaciation would have destroyed the edifice and crater lake etc. But then you say it’s “nicely preserved” and *does* have a crater lake – implying that it HAS erupted since the last glaciation? Am I misunderstanding something here? Esjan allegedly stopped erupting 1.8Ma ago. Yet there’s been a substantial change in hot springs in the geological eye blink of a generation or two. A change that’s so rapid in geological terms would tend to point towards a very *recent* process would it not? It would be a stupendous coincidence if a cooling process of a magmatic system that was last active 1.8Ma ago should complete to the point where hot springs shut down during our lifetimes? It’s… a little bit analogous to how in astronomy you can infer the size of a source from the timescale of its variability. If a source changes brightness on the scale of a few minutes then you know it can’t be larger than a few light-minutes in size. My entire Point was that the cooling process has continuously been interupted by intrusions at Esjan. Otherwise there would be no anomaly at all. To expound further. In a way the article is leading up to one gigantic question. How could such a large anomaly exist there after 1.8 million years? And I gave a tentative answer to that. But, remaining is what I think may be the largest conundrum in Icelandic geology. What on earth is driving those intrusions? It can’t very well be fueled by the mantleplume, nor is there a known spread-centre there. Something else is at work and darnedly if I know what it is. Only thing I know is that it is powerful enough to have kept a very large magma reservoir active enough over 1.8 million years to still show up like a glaring beacon of light in the night. Very interesting to note the activity at Esja, located north of Reykjavik. 1) Reykavik and Krisuvik. First let´s realize that Krisuvik fissure swarm does extend northwards into the eastern suburbs of Reykjavik. Eruptions in form of small monogenic cones happened there not so long ago (probably shortly before settlement). This is what causes the geothermal activity in the city region. 2) Esja as independent central volcano. Despite the proximity to Reykjavik and to the Krisuvik fissure swarm, Esja is located quite away, and there is no evidence that Krisuvik extends that far! But Esja does have geothermal fields, in some beautiful rhyolite slopes. That is in itself evidence of some strong underground heat. In the terrain, there are no signs of eruptions in the past thousand years (at least not in the Holocene and most likely not in late Pleistocene) but as Carl said, magma must still be beneath there, as shown up in isostatic gravity anomaly maps. The rhyolite mountain itself seems to have erupted sometime not so far away in the geological past. At least sometime in the past few hundred thousand years. 3) Ok shield volcano. It does not surprise the location of the past swarm. The area between Snaefellsjokull and Langjokull is clearly volcanically active, with many spots of recent Holocene eruptions. The easternmost is just by the ring road, which is some dozen kms west of the Ok shield volcano. Then the Ok volcano area there shows some widespread geothermal activity (in a region called Husafell). I think the Ok shield volcano is similar to many other shields and tuyas in the area. I think several of these volcanoes might have developed a central volcano magma reservoir of their own. Ok is just one of them. There are more in the area. Eiriksjokull is another one. Both are of a massive size! Katla had some deep quakes in recent days (below 20km). At same time, as the last swarm developed. I suspect that there is a new deep intrusion of magma going on. This is quite deep. You are, I think, referring to Þvottalaugarnar (The Washing Pools/Springs) in Laugardalur (Pool/Bath Valley). They are actually still there just hidden away inside pump stations as those pools where the ones first harnessed for geothermal heating utility. Few decades in the city noticed a decreasing trend in output from those springs and a new pump station was created to reintroduce the water back into the geothermal field below, stabilizing the output from those pools. 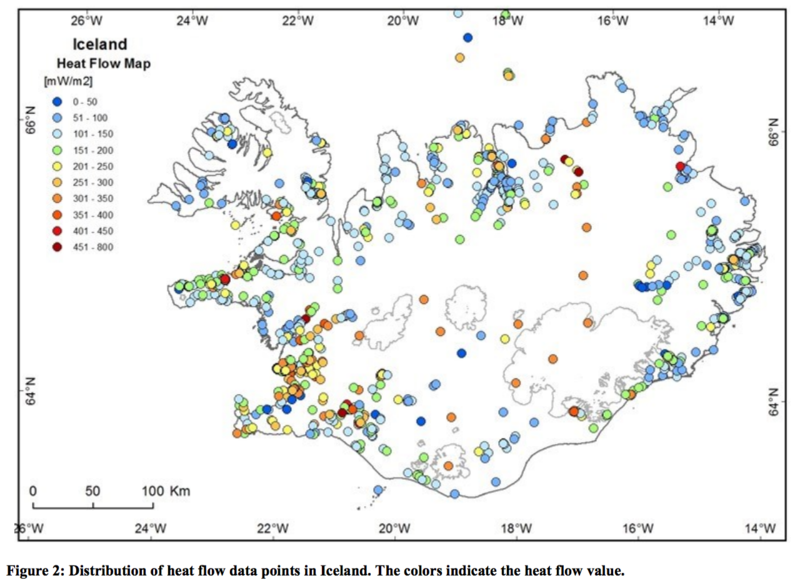 Here is a recent map of the heat flow in Iceland. It is a combination of how much heat is there below ground, and how easily it reaches the surface. If water can circulate to depth, you well get higher heat flow. For comparison, typical heat flow in a continent is less than 100mW/m2. Quite a lot going on there that is unexpected. First of all, it looks like there might be two plumeheads on that one. I wish there was a good deep tomoghraphy map of all of Iceland so we could get a clearer picture. I guess it is not such a surprise that Theistareykjarbunga is sticking out as the hottest place in all of Iceland, after all it is a real monster and the ground there is severely fragmented. Esjan is showing the same thermal anomaly as should be expected from the other data. But, here is where we either leave sanity or there is a dataflaw. Katla/Godabunga/Eyjafjallajökull are mysteriously cool, much cooler than they should be. And, having Hekla as a negative temperature anomaly is also rather suspect. Having 3 well known rather active volcanoes next to each other, plus Icelands largest intrusion, not showing data that they should show, and in opposition of other verified data, is problematic to say the least. In other words, I suspect that part of Iceland is not correctly measured. Hekla is too small to show up on a map at this resolution. There is only a single data point across all of Katla. If you look at Fig 2 of the paper, you can see where the wells and bore holes are from which the map was made. The low-heat regions in Lurking’s dead zone and northwest of Katla are evident in the data points, so that is real. Recent volcanic eruptions will play havoc with the method used but I guess noone drill a borehole into an eruption anyway! Basically, what looks like detailed information is actually artefacts from interpolating a sparsely sampled data set and then quantizing the result into only 7 levels represented by wildly different colors. Honestly, I don’t see how this map can be useful in any way. There simply isn’t enough data to draw such a map in a reliable way. In areas with many samples, the problem is the opposite. There seems to be lots of local variation, but in the processing there is too much averaging so the details are lost. Interesting but not very useful. I wouldn’t draw any conclusions based on this material. I disagree. There are over a thousand data points in this map. The fact that the sampling is much better along the coast that it is in-land, and that of course there is little data underneath the icecaps, is taken into account, the former by the resolution used, and the second by showing where the icecaps are. The paper also shows the location of the data points. The resolution is kept low, so that the interpolation works (and doesn’t become extrapolation). The colour levels used are also chosen so that the map doesn’t over-resolve the data. I still stick to my criticism. The Hekla/Godabunga/Eyjafjallajökull/Katla area is just botched. It does not conform to any other data known to mankind. And stating that Hekla is to small is just ludicrous, we know from other data that it leaves a large trail. If we also count in another even larger volcano that is in the same coldspot evidenced in this dataset, the Vatnafjöll volcano (that has had some of Icelands largest post ice age eruptions), it is evident that the data is not showing anything even remotely close to the real world. My point is that it is at best circumstantial evidence that must be used together with other corroborative data. Well, it does mesh with some of the info I’ve dug up on my assigned Hengill piece. I am not saying it is all faulty, but the part I am pointing to is bungled beyond belief. Do the glaciers have much of an effect on data? I don’t know, but I imagine that they do. Glaciers tend to scour up large quantities of material and deposit it elsewhere. Heatflow is a function of available heat energy, and the ability of it to move towards the surface. A lot of heat movement is via hydrothermal fluids percolating through a permeable surface. Remove the dirt and there is not a lot of percolating going on in solid rock. Just conduction with little or no fluid transport mechanism. Water has an enormous heat carrying capacity. You know what would be fun and instructive? Constructing a similar map (or more likely a series of maps) depicting some kind of ‘average intensity of volcanism’ (perhaps for various epochs) – a product of eruptive volume and frequency. I mean we *know* the numbers and where the big producers are (although perhaps not quite as well as we think at times) but *seeing* the data graphically beats numbers every time. Seeing how that correlates to other maps – e.g. heat flow and gravitational anomalies – could be quite fascinating. Just a numbers of eruptions map would be pretty telling. But, it would give us the known offenders map, but be rather weak on what may be coming attractions. In any kind of map the gaps can be as instructive as the data. This would show future eruptions likely near at askja, Karla, tjornes, Hekla and even oraefajokull. A similar map back in 2000 would have shown deep quakes in bardarbunga and eyjafjallajokull. Such approach would still fail to show eruptions at grimsvotn. Here is the data it is based on. The cold spot northwest of Katla/Hekla is seen in a number of locations. Heat flow at the south coast is a bit higher. You can’t measure heat flow within a volcano this way. Most of the heat is conducted up with the eruptions. For instance, assuming that Bardarbunga ejects 1km3 each century, over an area 100km2 (its caldera), at T=1000C gives me a heat flow of 500mW/m2 just from that. 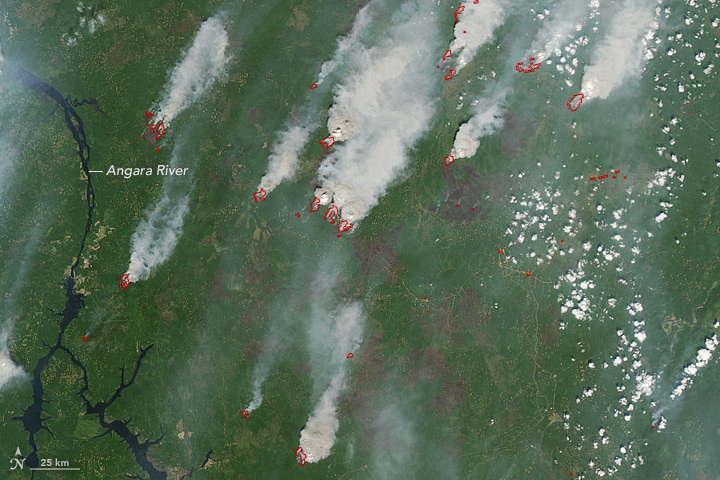 Eruption swamps the steady-state contributions. Glaciers are difficult as you have to drill through! This map shows hwów heat conducts to the surface. Ir probably related to measurements of heat in the first km of the crust, anything deeper will not be shown here. This shows the low utility of this map. Also, if I measure a spot located 5km away from Hekla, it might show up as a cold spot, as there are no hot springs around Hekla (while other volcanoes like Torfajokull have very wide geothermal fields). This means only that shallow magma lies over a wide area beneath Torfajokull but not under Hekla (where we know magma lies deeper and the feeder is probably narrow). This means nothing about how active a volcano is or how intense it might be. Hekla is deceiving as most of the top crust around her, is rather cold. Torfajokul in another way, has a very wide warm area, but most locations are wide patches of cooling magma, which probably will never erupt again. The hot spots measured in the West Fjords, Stykkishólmur, southeast of Vatnajokull, are all known hot spring areas, but where volcanism has died time ago. Still, despite the low utility of the map, it might points interesting things, like the unusual high heat in the north part of the Snaefellsnes peninsula, or at Theistareykjarbunga. To be more accurate, many more points would have to be measured. Most of your points are discussed in the (short) paper. The measurements are based on the temperature profiles with depth, not single near-surface temperatures. If you see only a small (or no) increase of temperature with depth, that indicates hydrothermal activity and the points are excluded. The bore holes are 1-3kilometer deep, and so in most cases (but not all) go below the hydrothermal layer. This is heat flow at depth. Second, it assumes a uniform thermal conductivity. That is ok in most places but not in the rift zones where the rocks are very fractured. In the rift zones, indirect estimates are used. I think these are the regularly spaces points along the rifts. Third, it ignores the ice age. The extreme cold of the ice age penetrated deep into the crust, while the warm weather in the past 10,000 years hasn’t gotten as deep yet. A few kilometer down, there is still a colder layer. The assumption is that in Iceland, the heat flow from the mantle is high enough that this effect has been wiped out. Sure, more data points would be helpful. But the cool spots in the maps can’t just be argued away. Katla is indeed an island of warmth surrounded by a sea of cold. The warm spot on the Snaefellsnes peninsula is also interesting, and seems part of a larger region extending northeastward. I have no idea where this comes from. Are there any notable heat signals from the Holuhraun lava flow or other fairly-recent flows? There will be but that is not what this map measures. It measures heat flow at a few kilometer depth, and away from magma chambers: it is heat conducted through rock, not carried up by magma (that would be cheating). Thanks Carl, interesting post as usual.could the Icage heavy ice cover and the loss of it explain the changed pattern of eruptions? Also strong swarm at Kolbeinseya. Will it spread south? We hypothesize that the abrupt loss of productive coastal habitats, potentially acting alongside oceanographic alterations, was a key extinction driver. The importance of area loss is supported by model analyses showing that animals with high energy requirements (homeotherms) were more susceptible to extinction. Looks like there’s a strong earthquake swarm near Ontakesan according to data from Volcano Discovery? And a M2.2 at 13km depth under Martin volcano in Alaska. The ontakesan swarm is interesting. I wonder if we will see more phreatic activity here. It looks like there were a few strong quakes (m4+) around the 24th of June, and there have been some slightly smaller quakes that have moved up higher in the conduit. Probably an intrusion from depth. Unfortunately, earthquake monitoring for Japanese volcanoes is just not the same as Iceland. I would LOVE if we could get similar data for a lot of the world’s volcanoes similar to how easily accessible iceland volcano and seismic data is presented. The interesting thing I found was the location; they’re clustered in a ring at around 5km depth – 5km from the summit off on one flank; they don’t relate strongly to the edifice itself. There’s an earthquake swarm at Truckee, California, too. The USS is showing negative depths such as -1.2 km, -1.5 km, -1.6 km What? How is that possible? Nice one Bobbi! The USGS measures the depth relative to sea level (where I think most of their detectors are based). The Sierra Nevada is quite a bit above sea level. These must be earthquakes very close to the surface. Quite a lot of dark smoke on Vesuvius webcam right now… Definitely smoke, but definitely not full-on volcanic mayhem. Anyone know its current status? Looks like a forest / brush fire working its way from right to left, up the slopes. Thanks Clive. I thought it might be the case,for obvious reasons. But a friend of mine is in Naples right now and they were wondering, so I thought I’d check it out.